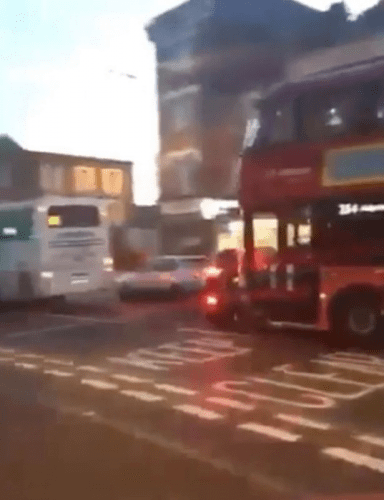 Dramatic footage captured the moment a London bus ploughed into cars in rush hour traffic, pushing vehicles in front of horrified onlookers. 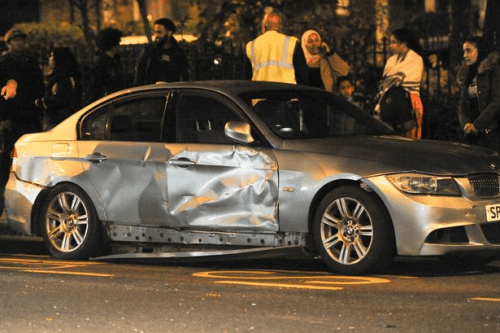 Witnesses said passengers were begging the driver to stop during the terrifying incident in Hackney, east London, on Thursday. 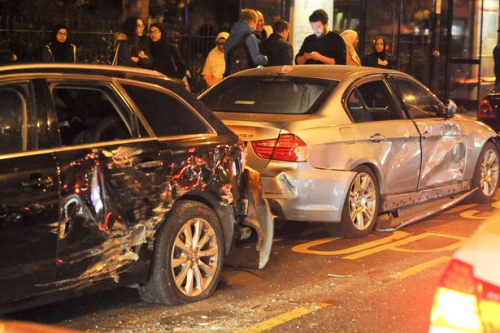 Two people suffered minor injuries in the crash, which happened on Lower Clapton Road at around 4.40pm. 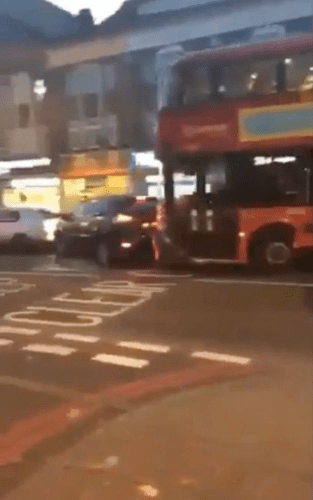 Video posted on Twitter appears to show the Aldgate-bound number 254 bus smashing into a black 4×4. 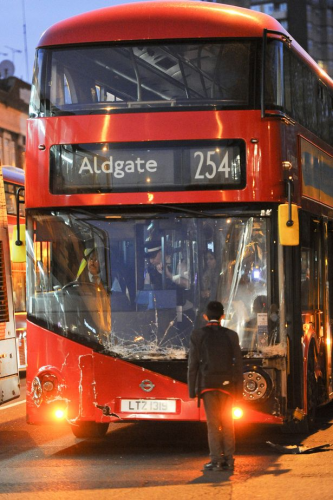 Seemingly unaware of the crash, the bus drives on, pushing the black car – and another silver vehicle in front of it – along the street. 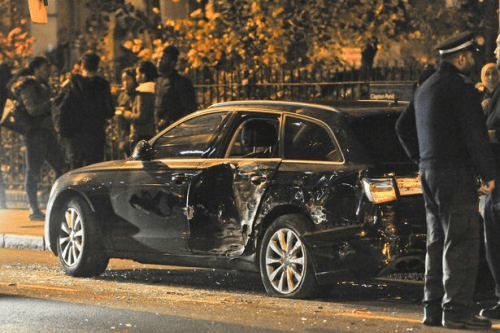 A witness outside the Ten Ten Kitchen restaurant told MailOnline one of the vehicles involved in the crash was carrying a baby. 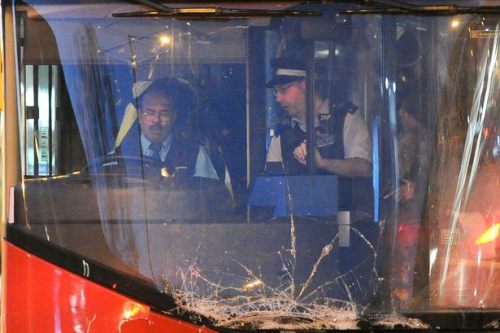 A police officer was later seen talking to the bus driver as passengers and passersby stand stunned on the pavement. It is not yet known what caused the crash or why the driver did not immediately stop. 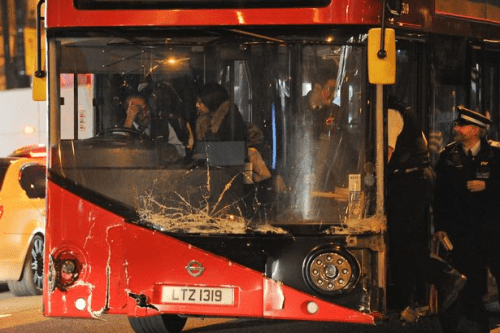 A Metropolitan Police spokesman said: "Police were called at approximately 16:40hrs on Thursday, 9 November to Lower Clapton Road, E5 following reports of a Route 254 bus in collision with a number of vehicles. "Officers attended. Two people sustained minor injuries. Road closures remain in place. There have been no arrests." 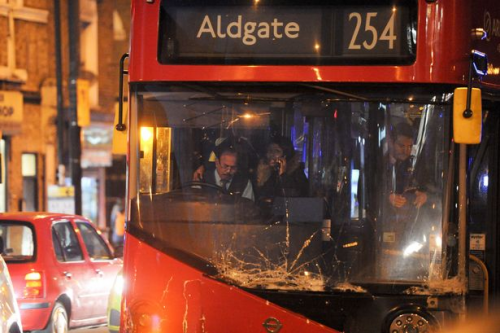 A TfL spokesman said: "At approximately 4.30pm today a 254 double deck bus operated by Arriva, collided with three cars in Lower Clapton Rd between the Lea Bridge roundabout and Cricketfield Rd, E5.